Clear View has done away with the need for distractive safety screens. 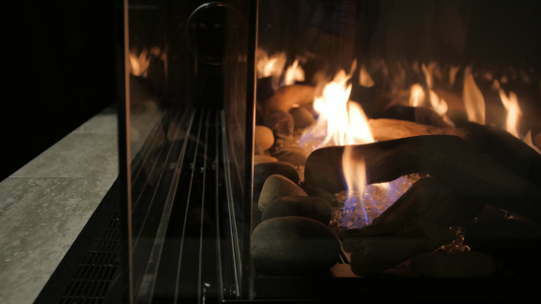 Our double shield glass protects hands from burning, while you can enjoy uncompromised views of your stunning fireplace. Our Warm Glass system skillfully brings the temperature of the glass down below the stringent standard of 172 degrees, while still allowing radiant heat to efficiently heat your room. With our easy maintenance glass removal system, you won’t need a service technician to come and clean your fireplace viewing glass area. The Genesis Series gas fireplaces are created for us by Savannah. They are manufactured with our focus and special criteria in mind.